A former Merseyside Police officer has been jailed for six months for seven counts of misconduct after failing to investigate crimes and fabricating the statements of victims and witnesses. 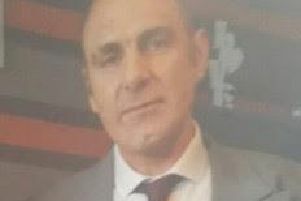 Liverpool Crown Court heard that Peter Broderick, 54, joined the police force in April 1998, and at the time of his offending, was working as a Level One Investigator in the Planned Demand Team, based on the Wirral. This role involved the investigation of relatively low level crimes that would not be allocated to the CID department. Richard Riley, a Senior Crown Prosecutor with MerseyCheshire Crown Prosecution said: “Between 5th April and 10th August 2016, the Defendant failed to investigate properly a number of crimes allocated to him. “He recorded false information on the crime investigation logs and created statements in the names of victims and witnesses rather than take statements from the victims and witnesses themselves. He was sent to investigate thefts at several stores in Wallasey, Prenton and Birkenhead but often recorded the cases as “undetected” a short time afterwards. Richard said: “His offending came to light when a suspect was detained for an offence at a Wilko’s store. It was the same suspect and the same store that Broderick had been sent to investigate some time earlier and it emerged that he’d falsified his crime report from the scene at the time. “On 12 January 2017 the Defendant was the subject of a criminal misconduct interview. He provided a prepared statement in which he denied perverting the course of justice. A criminal investigation began and Broderick was eventually charged with 7 counts of misconduct in a public office and he entered guilty pleas to all 7 counts on 1st November 2017. “This sort of offending by a serving police officer damages the public’s faith in the institutions that they turn for help and protection. “The crimes he went to investigate were relatively minor but the victims had taken the time and effort to inform the police yet Broderick appears to have had no intention of doing anything about them.